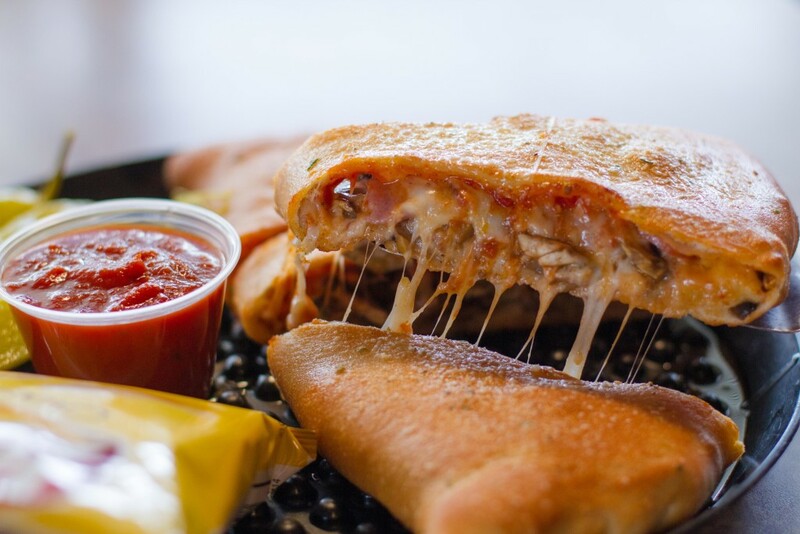 Our delicious homemade dough, rolled and stuffed with your favorite toppings, Pizza Bell Sauce, Whole Milk Mozzarella Cheese, then oven baked to a golden brown. Ham, Italian sausage, fresh mushrooms, red onions, pizza bell sauce, and whole milk mozzarella cheese. Fresh mushrooms, olives, bell peppers, onions, pepperoncini peppers, pizza bell sauce and whole milk mozzarella cheese.